C. David Freedman is counsel at Gowling WLG's Toronto office and works within the global Private Client Services Group. David has been certified as a Specialist in Estates and Trusts Law by the Law Society of Ontario. His practice is focused on litigious estate, trust and capacity matters in addition to complex trust planning and administration. As preferred counsel for LawPRO, David acts on matters of professional negligence with respect to estate and trust issues, including defending solicitor negligence claims. David has extensive experience in trial and appellate litigation as well as in arbitrations. 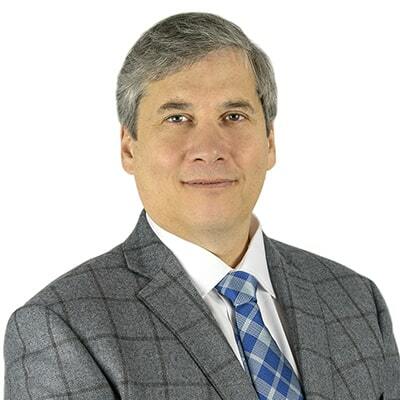 In addition to his work as a practising lawyer, David is also a tenured law professor in the Faculty of Law at Queen’s University where he teaches Trusts, Wills & Estates Law, Estate Litigation, and Civil Procedure. He holds an undergraduate law degree from Osgoode Hall Law School, a masters degree from the University of Oxford and a doctoral degree from the University of Cambridge. David has published widely on estates and trusts topics and is co-author of Ooosterhoff on Wills, and has a book forthcoming titled Civil Practice And Procedure: Text, Commentary & Materials. For more information, please visit his academic website. David is a member of the Society of Trusts and Estates Practitioners, The Advocates' Society, Ontario Bar Association, Frontenac Law Association, and the Canadian Tax Foundation. ‘Reassessing Gratuitous Transfers by Parents to Adult Children’ (2005), 25 Estates, Trusts & Pensions Journal 174. ‘The New Law of Criminal Organizations in Canada’ (2006), 85 Canadian Bar Review 171. ‘Restoring Order To The Reasonable Person Test In The Defence Of Provocation’ (1999), 10 King’s College Law Journal 26. ‘The Extension of the Criminal Law to Protecting Confidential Commercial Information: Comments On The Issues’ (1999), 13 International Review of Law, Computers and Technology 147; reprinted in DS Wall (Ed), Cyberspace Crime (Aldershot: Ashgate Press, 2003). ‘Revising Canadian Database Protection: What Lessons from Europe?’ (2002), 81 Canadian Bar Review 253; expanded, ‘Should Canada Enact a New Sui Generis Database Right?’ (2002), 13 Fordham Intellectual Property, Media & Entertainment Law Journal 35. ‘Software and Computer-Related Business-Method Inventions: Must Europe Adopt American Patent Culture?’ (2000), 8 International Journal of Law and Information Technology 285. ‘The Protection of Software in Copyright and the Law of Confidence’ (2000), 8 International Journal of Law and Information Technology 25. ‘Beyond Technological Solutions for the Protection of Confidential Commercial Information on the Internet: The Legal Response’(1999), 10 Computers and Law 35. ‘Protecting Confidential Commercial Information’ (1999), 4 Communications Law 87. ‘The Great Canadian Juice War’  58 Cambridge Law Journal 288.